There was a time when being in Doctor Who was something of a death sentence. This is a sentiment that has been stated on many a DVD commentary. Unless you were already a big star, chances were, Doctor Who would sadly be the only big thing you did. The BBC and the world at large just didn’t respect Doctor Who like it does now. Nowadays things have changed though. It seems that once you’ve done Doctor Who, you can do anything! Included in this anything category is the Superhero genre. Whether it is film or television franchises, below are some of the lucky stars of Doctor Who, who got to don a cape, suit, helmet and a heroic attitude. 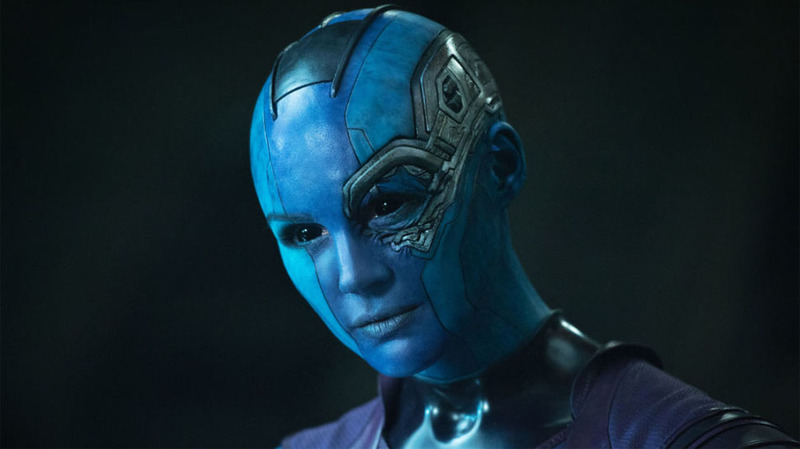 Could Nebula spell the birth of the Cybermen in the Marvel Universe? Jenna-Louise Coleman made her name on Emmerdale, so of course, as many Doctor Who companions seem to do, the next logical step from soap opera was to appear in the world’s longest running science-fiction show. And most Doctor Who stars go into Marvel. But Jenna-Louise Coleman did it the other way around. 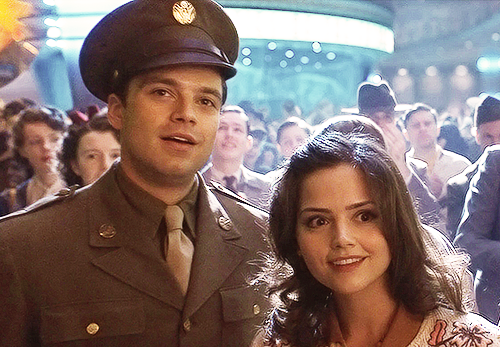 Her character of Connie was on a date with Bucky Barnes in Captain America: The First Avenger, when Steve Rogers, Barnes, her friend Bonnie and she went to the Howard Stark Expo. On screen fleetingly, she sees a hovering car and then goes off with Bucky to dance while Rogers enlists. This is the last we see of her as her current whereabouts are likely to remain unknown in the movies. Needless to say, a flying car wouldn’t be the weirdest thing Coleman saw when she joined the Doctor Who universe as Clara Oswald! The Lady could hardly go around calling herself Missy, now could she?! The Lady is just as an ambiguous name as Missy. But she was right, she couldn’t have gone around calling herself the Master! 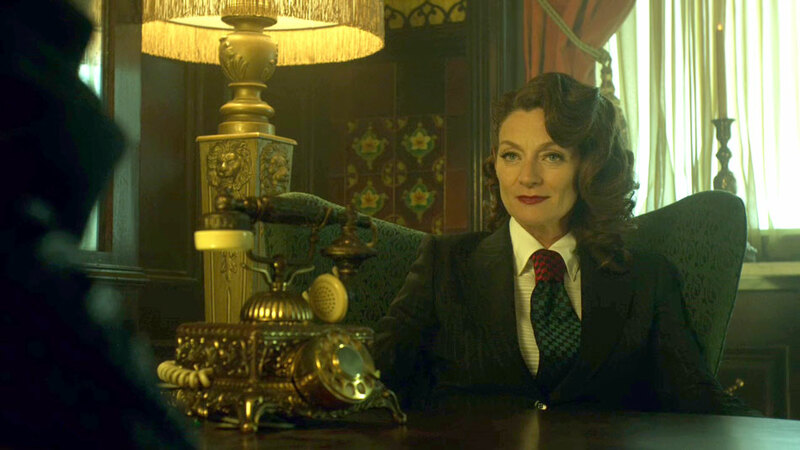 The Lady appeared a few times in the second season of Gotham, apparently running Gotham’s criminal underground. Having made her appearance in Doctor Who, Gomez plays The Lady just like Missy but if she were in another city! Could her underground club/hideout have been where she first contacted the Cybermen? 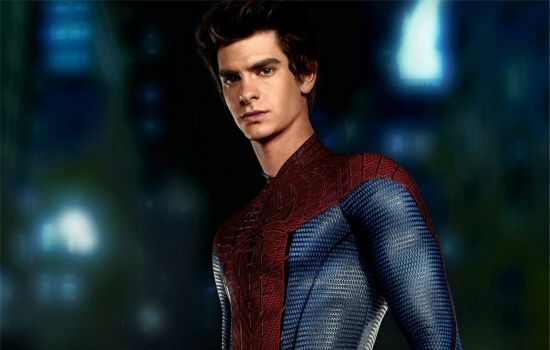 Andrew Garfield is one of many guest actors who have broken out in the comic book universe. 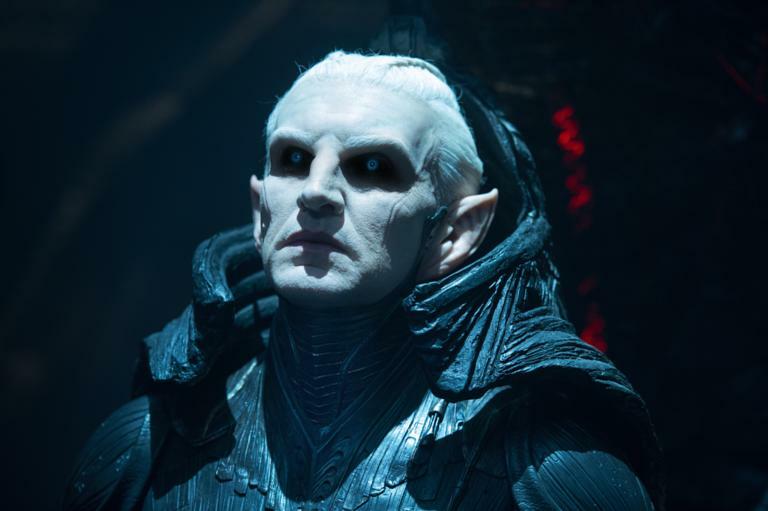 It hasn’t just been regulars that have appeared in different comic book properties though, guest stars like Toby Jones and Tony Curran have gone on to appear in Captain America, Thor and Daredevil. Andrew Garfield went from running around in the sewers of Manhattan from pig men and Daleks to swinging through the Manhattan skyline as Spider-Man in The Amazing Spider-Man and it’s sequel. Even Ian McKellan, already a big named star and the X-Men’s very own Master of Magnatism, appeared as the disembodied voice of The Great Intelligence. Hayley Atwell, star of many Doctor Who audio-drama’s with Big Finish went on to be Agent Peggy Carter in both Captain America: The First Avenger and her own, sadly short-lived, television series, Agent Carter, something which Toby Jones even had a cameo in it! 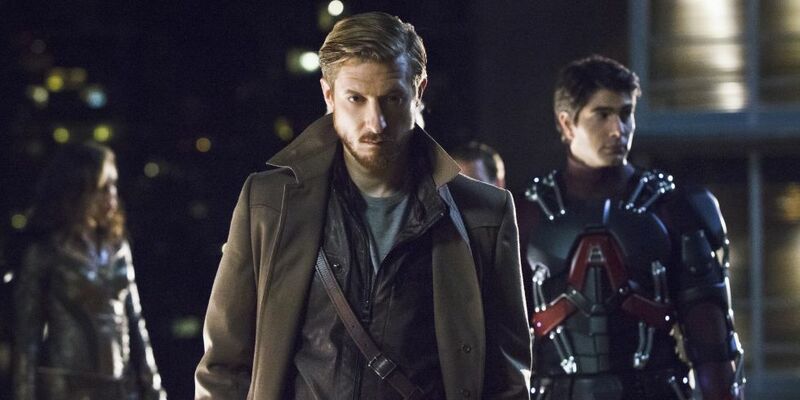 Most recently Russell Tovey as been announced as The Ray and will appear in DC’s Legends of Tomorrow, Arrow, The Flash and Supergirl in the upcoming crossover epic, Crisis on Earth X. Given how Doctor Who has been associated with Marvel Comics UK, does this confirm the Doctor’s existance in Marvel Canon? It is The Flash that has the most Doctor Who references though. Whenever they have to make a rudimentary time machine, it is always blue. Cisco has shouted, “reverse the polarity of the neutron flow!”. The end of season one featured a metal hat coming through a portal in a similar way to the Eleventh Doctor’s fez in Day of the Doctor. 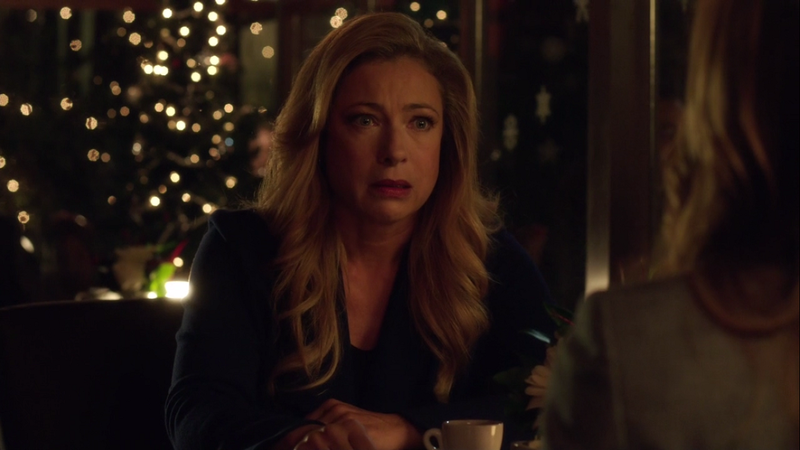 And in a recent episode, Girls Night Out, the show makes a direct mention of the show when Joe West says he didn’t know someone was a fan of Doctor Who. The girl says she is now, that the Doctor is going to be a woman and follows the comment up with #feminism. What will the future hold for this new TARDIS gang? Hey Who fans. We have a jam packed show this week with loads of news and merch plus our revisit of The TV Movie. Let’s crack on! The big news that broke earlier in the week was Jodie Whittaker’s new costume and TARDIS so we talk around that. McCoy is has joined the cast of children’s show Sarah and Duck. Unfortunately Classic Who actor Scott Fredericks has passed away aged 74. Lastly, we’re looking forward to a preview of Twice Upon a Time during this years Children in Need show. Dalek Tat throws us this week – a gorgeous new 7th Doctor Collector’s Edition gets a German release next month (see your article on that here), Koch Media have released their next The Doctors DVD – The William Hartnell Years, speaking of the First Doctor David Bradley is the cover for this month’s Doctor Who Magazine and there’s a new board game that’s just launched called Time of the Daleks. Thank you so much as always for listening and sending us your reviews. Revisits Month concludes next week with our review of the 5th Doctor story – The Caves of Androzani. Until then have a great week and remember – Allons-y! Listeners of the podcast will know that Adam and I love merch. Yep, we love that sweet merch. I can’t tell you how many times over the years that I’ve got a text or Twitter DM from Adam that started with the words “Have you seen…” and then numerous messages back forth consisting of “Yep, I’m in” or “Are you crazy? I want to stay married this month”. That second reply is usually prompted by merch that’s particularly expensive. Sometimes though, a piece of merch drops that is a bit costly but you look at it and think, in the style of The Fonz, aaaaaaaaaaaalright. That’s how I felt when I was researching merch for this week’s show. I came across a couple of Doctor Who news sites each showing this and I immediately thought “Wow, that is beautiful”. C’mon. It looks awesome right? Yeah it does. It seems to have come out of nowhere too, I hadn’t heard about it prior to it being announced as we usually have our ears to the ground on upcoming releases. Panadastorm – you went stealth with this one. Back to my point, it looks awesome. The cover art is wonderful. It’s a slightly different pose for McCoy that we haven’t seen everywhere before and the three Gods of Ragnarok make a great backdrop. It’s this overall look that sells it immediately, without even seeing the contents within. There are no pictures as yet of the back. The outside slipcase art is identical to the book that it conceals, containing 52 pages of 7th Doctor story goodness. Show runner for Who during McCoy’s era – Andrew Cartmel, has written texts on every story especially for this release. An example page from the pre-order images looks amazing; beautiful full page artwork with plenty of text. You can tell they haven’t scrimped on quality here. Drooling over the book – done. Now, the DVD’s. All 17 of them, containing all of McCoy’s stories (except The TV Movie but some wouldn’t class that as a McCoy story per se). Another tick in the box is the design of the discs with a progression of colours as you go through the set. The main reason this stands out, not just the colours, is the decision to actually do it. 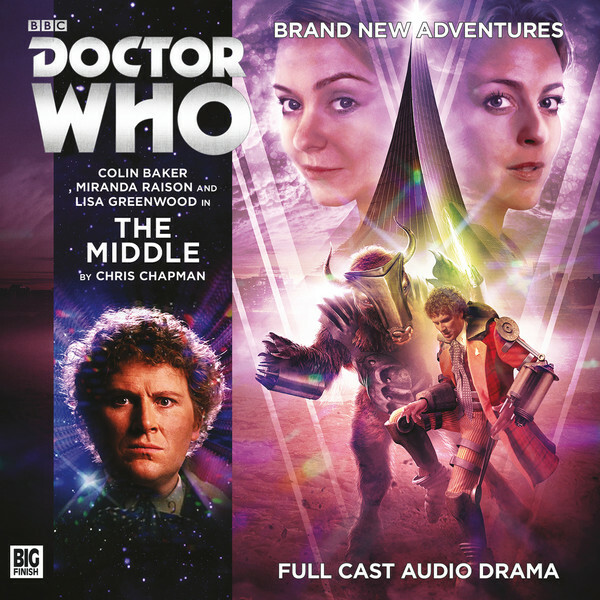 I have a couple of re-releases from the BBC where the DVD is the same disc as the original release, just packaged up in new cover art. The content across those DVD’s looks great too. We have all the stories that we know throughout the McCoy era but with a couple of special editions. They have included the extended edit of Battlefield, the movie version of The Curse of Fenric and an 84 minute extended edition of Silver Nemesis. 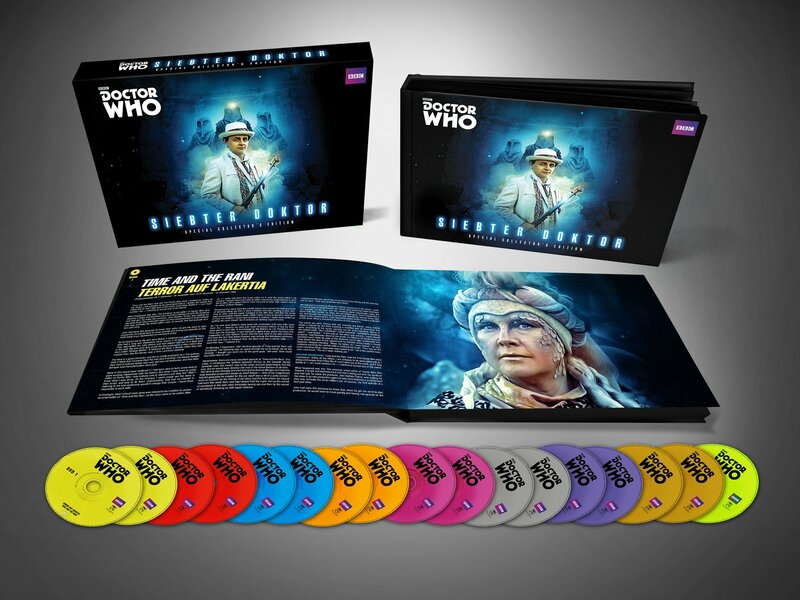 There’s 24 hours of bonus material plus a special disc (no 17) that’s exclusive to this set that features the BBC America documentary Doctor Who – Seventh Doctor – Revisited, a new interview with Andrew Cartmel and a restoration of the lost “Extended Edition” of The Legacy the Nemesis. Nice. Ok so, you’ve read the blurb, you’ve seen the pics but you don’t live in Germany. 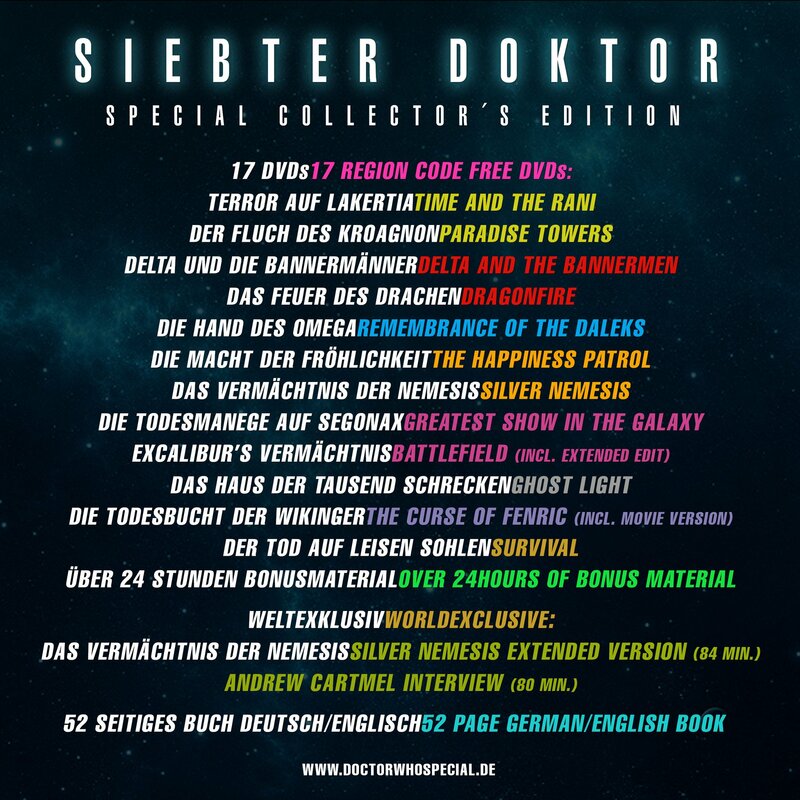 Fear not, the DVD’s are region free (according to the site) and the book’s main text looks to all be in English with German translations for the titles. There could be German translations elsewhere but there are no images to confirm that. 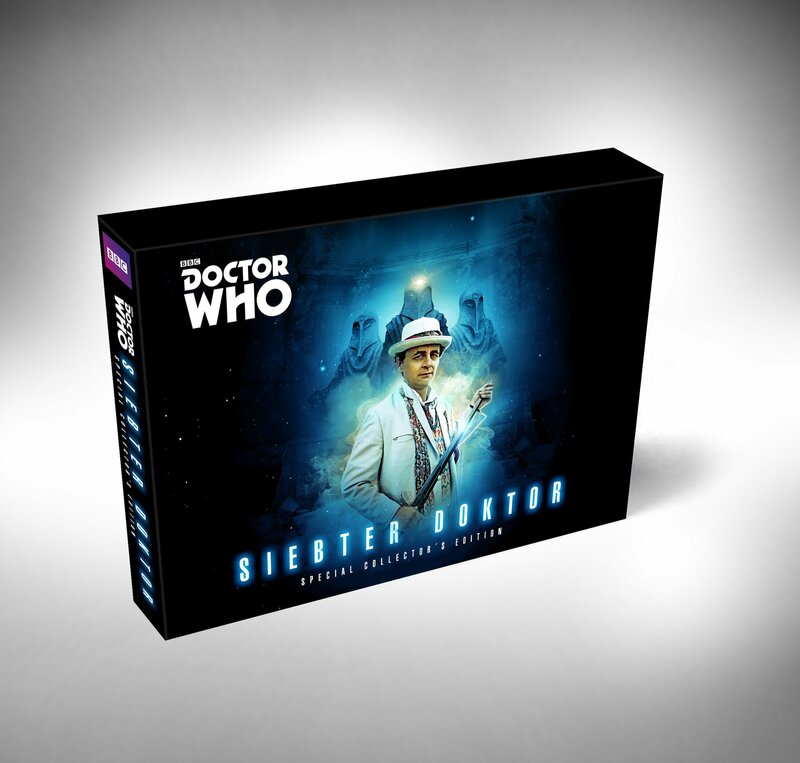 The cover art and subsequent book’s main title is in German – “Siebeter Doktor” which translates simply as “Seventh Doctor” (as one would have assumed) but hey, it’s primarily a German release after all. At €150 (about £135 at the time of writing) plus shipping it’s certainly not cheap, however, you do have to appreciate the gorgeous design and the fact that everything that’s been released featuring the 7th Doctor is in there (again, minus the TV Movie but see above) plus a couple of bits we haven’t seen before. If you’re a fan of McCoy it’s a sweet set to own. It has the same feel as the Regenerations boxset that was released a few years ago and is now quite sought after. It’s limited to 1,000 pieces and if you order before the 19th November your name goes on the credits on the bonus disc. Another nice little feature that makes up a unique and beautiful set. Head over to the site to check it out and make your purchase if you so desire. Crush the lesser races! Conquer the galaxy! Unimaginable power! Unlimited rice pudding! Et cetera! Et cetera! The definition of artificial intelligence is the theory and development of computer systems able to perform tasks normally requiring human intelligence, such as visual perception, speech recognition, decision-making, and translation between languages.I was completely gob-smacked to recently read a business story that a robot called ‘Sophia’ has been granted citizenship by Saudi Arabia. 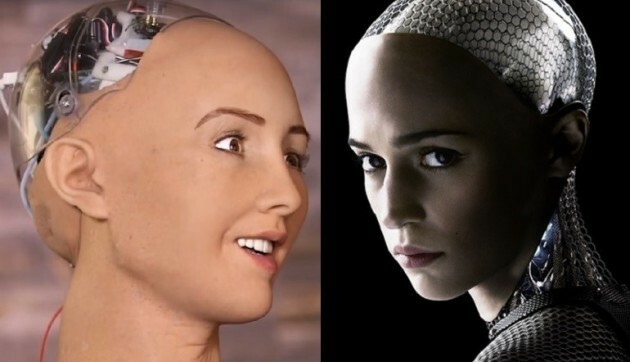 (http://uk.businessinsider.com/sophia-robot-citizenship-in-saudi-arabia-the-first-of-its-kind-2017-10?r=US&IR=T). My amazement is, in part due, to the fact that Saudi Arabia has had an extraordinary record of what it will allow ‘real human’ females to do or not do. For example up until a very recent announcement, women were banned from driving amongst other things. They are now allowed to do so but does granting citizenship to an artificial intelligence, modelled on Audrey Hepburn and overtly feminine, demonstrate a country moving towards modernity ? .Moving on from that politicial discussion the decision also makes me question whether this is the first step towards a very ambiguous future generally for mankind. There is certainly a palpable fear around robotics taking over our jobs, leaving us out of work and without a livelihood. In 2018 the government has plans to trial driverless lorries on British the motorways threatening the jobs of professional drivers. Up to three lorries are due to travel in automated convoys (controlled by a driver in the lead vehicle) despite worries that such a convey could obscure road signs from drivers in the outside lanes and potentially make access to entries or exits difficult for other drivers. In its favour it does have noble ambitions to cut congestion and emissions. The world of Doctor Who certainly shows robotics in service to humanity. In “Paradise Towers” we saw Cleaning Robots who were programmed to keep the Towers clean and in “The Greatest Show in the Galaxy” an advertising robot delivered junk mail to advertise events, using the the TARDIS’ viewing screen to show the advertisement. However robots do seem to also be encroaching into more personal areas such as healthcare. In the The Androids of Tara we saw androids who looked like genuine humanoids who were built to replace workers lost to illness, with doctors trained to also act as scientists in order to repair them. The future is coming…….Well not quite duplicates ( yet) but a private company has just begun a pilot scheme which means patients in five boroughs of London ( one of which is mine!) are encouraged to consult a chatbot instead of a human being, when they contact the 111 non-emergency line (http://www.telegraph.co.uk/technology/2017/03/07/robots-will-soon-able-diagnose-accurately-almost-doctor/). The ultimate aim will be in the future to test if robots will be able to outperform medics in making a full diagnosis. Of course being able to diagnose more swiftly may allow doctors to apply treatment quicker and at the moment the service is being marketed as an additional resource for doctors but in ‘The Girl Who Waited’ one can see where artificial intelligence in medicine has its limits. The handbots, the medical personal on Apalapucia had organic skin, grafted on their hands, allowing them to “see” and even detect bacteria but had limited intelligence to know different species or what medicines cured them. A handbot tried to administer a dose of medicine that would have been fatal to Rory unable to recognise either him or the Doctor as alien. 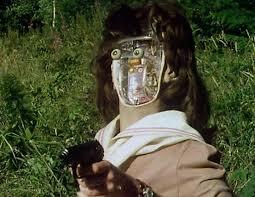 Older Amy cut off her handbot “Rory’s” anaesthetic hands, perhaps suggesting they always posed a threat. Another fear about robots is that they will “take us over”; that we’ll lose control of them. The idea of a robot society amongst us in the future is very well imagined in ‘ The Robots of Death’ where abroad ‘Storm Mine 4’, there is a minimal human crew that oversee the menial work done by the robots. Interestingly the robots are divided into three classes of intelligence : the D-class, colloquially known by the humans as the “Dum” which are incapable of speech and merely followed orders, , the “Voc” which interacts with the humans, and the SV-class, or ” Supervoc “that is capable of reason and decision-making and managing the other robots but also utilised in detective work. Leela describes them as ‘creepy mechanical men’ and I can well understand that. Leela is quite an astute savage at times! Even in the future the paranoia over robots still exists amongst the humans as at the start of the story as one crew member receives a massage from a robot and they all discuss a case of a Voc robot therapist in Kaldor City who ripped off a human client’s arm. Was it faulty programming? We don’t really know but the seeds for distrust are shown. Again, this fear has some present basis. 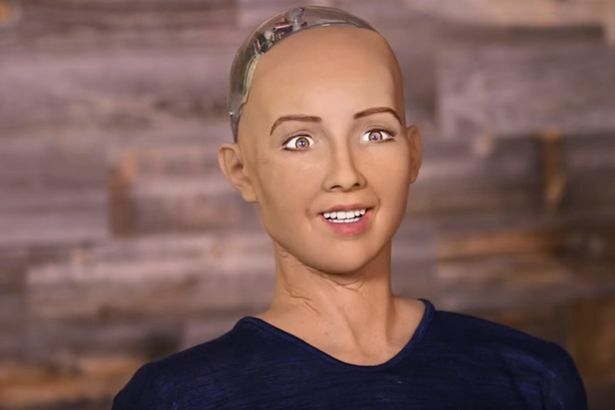 The AI robot Sophie, has a remarkable level of behavioural intelligence built into her and the ability to acquire knowledge and skills. It does trouble me listening to her as she quotes ‘human’ aspirations to in the future to study, work and have a family and apply them as necessary alongside her problem solving skills. She may help in the home but it nags at me there is this desire to give her emotional intelligence too. Obviously no one watched Swedish science fiction drama Real Humans or the Channel 4 Humans which posed those scenarios shown leading to a robot Revolution ? Does Sophia know why she wants these things ? What was interesting was where Dr Hanson gave Sophia a flippant question. Did she want to destroy humans? He asked her to say no. She said ‘okay I want to destroy humans’ suggesting the programming for Sophia is not quite sophisticated enough yet to incorporate a moral compass in her ‘understanding ‘.In ‘Robots of Death’ D84 feels almost human and is a quite wonderful character which is illogical for me I know but I adore his cuteness. The script repeats words and sentences closely together many times which is a clever device to emphasise the differences supposed between fallible Humanity and the logical machine and also emphasising the claustrophobic nature of the robots. My favourite line is D84 ‘ I heard a cry’ Doctor ‘ That was me’ repeated over. The other Robots especially SV9 with their aesthetically pleasing faces and calming voices are a lie. They are logical machines without mercy. Taren Capel because he was raised by them became convinced there needed to be a robot revolution for them. But he was wrong. Does the desire to provide robots with consciousness suggest perhaps there is an inability or reluctance on the part of those humans, real or imagined, to understand and acknowledge the complexity of human impulses, emotions and relationships? It’s true that not all of the robots we’ve seen in Doctor Who are designed necessarily to mimic a humanoid design so it does creep me out a bit that the creators Hong Kong-based robot manufacturer Hanson Robotics have created such a human looking robot. Why that desire to make their design appear so living so human,? The definition of biological is relating to biology or living organisms, (of a member of a person’s family) genetically related. I do understand that for commercial and aesthetic reasons it may an attempt to help with blending into our world. In the world of Doctor Who robots aren’t always benign. 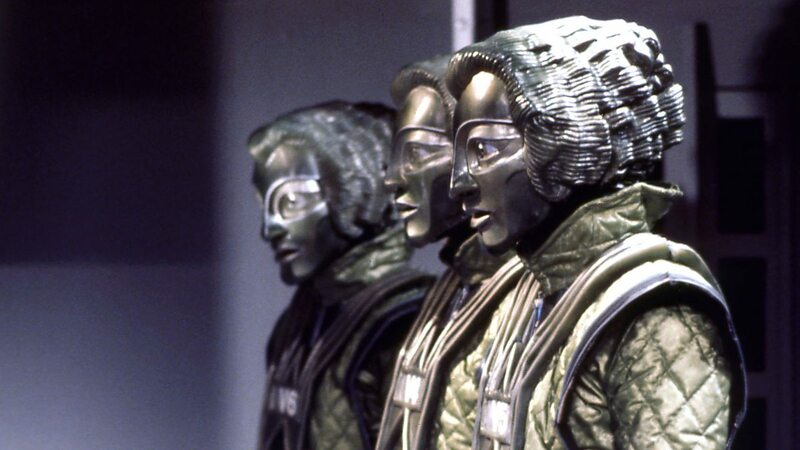 The androids created in ‘The Android Invasion’ by the Kraals contained a gun inside their fingers and went around duplicating people such as Sarah Jane and Harry Sullivan to prepare for an invasion on earth. 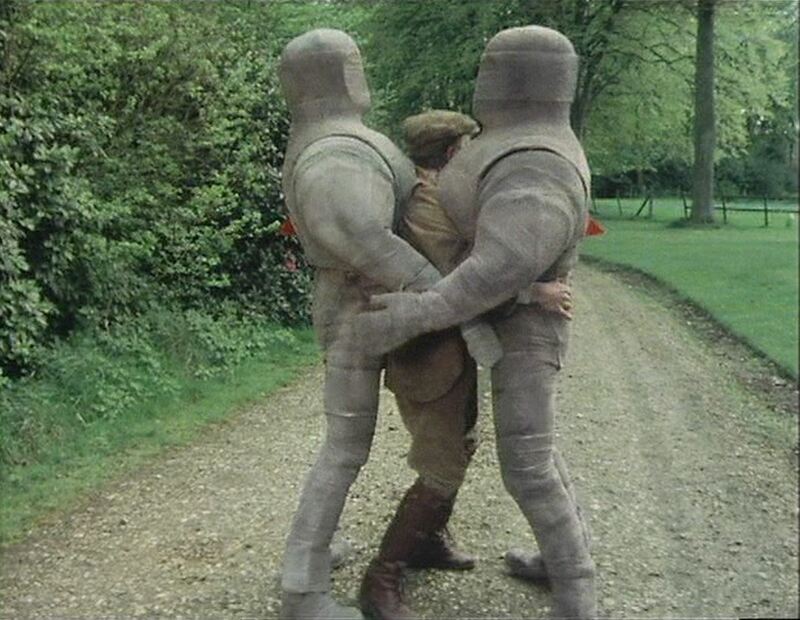 Kamelion was acquired by the Fifth Doctor as a companion after ‘The Five Doctors’ However Kamelion was a shape-shifting android but weak-willed so the Master was able to take control of him twice. Kamelion subsequently asked the Doctor to destroy him to avoid betraying him again which the Doctor did but with some sadness. There could be another view that the danger isn’t from artificial intelligence but from the beings who use robots for their own ends.Humans are seen to be more destructive in Doctor Who where robots are used towards another purpose, mostly for revenge, power or just madness. The golden robotic angels, the Host, who gave information to passengers aboard the Titanic space cruiser were controlled by Max Capricorn who instructed them to kill all remaining passengers after a meteor collided with the ship. In ‘Robot’ , K1 was a robot designed in the 20th century to replace humans in dangerous environments, but whose prime directive was purposely sabotaged by a group of academics who wanted to take power for themselves. 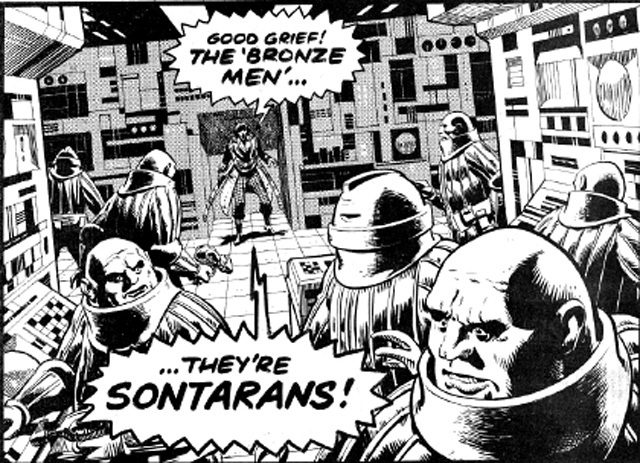 In ‘The Caves of Androzani’ we saw androids created by Sharaz Jek, perfect duplicates of the person they copied, so the original living person had to die. Part of the reason Sharez Jek had an android army was he hated his ex-business partner Morgus with a passion as Morgus had betrayed Jek by supplying him with faulty detection equipment in the mines so he was caught in a mud burst and scarred horribly. Jek then raised an android army, and took control of the spectrox refinery and was then forced to wage a war with his androids, battling federal troops under orders from Morgus. There have been approximately around sixty different robots in Doctor Who, from War Machines, Robot knights, Yeti, Spider robots, the Anne Droid, dear K9 of course (but he deserves an article all to his-self/ itself )Who do we have more to fear from ? Humans or robots? I do value where robots may help us with automating routine tasks but I’m not sure I that I trust that robots will ever ‘know’ or ‘feel’ enough to make value judgements or complex decisions instead of a human in my private kingdom. How does Sophia make you feel ? Excited ?Positive? Uneasy ? Repulsed? There is certainly something quite unnerving to be able to view a facsimile image of a human or in the future possibly oneself. Mirror, Mirror on the wall who is the fairest of them all? 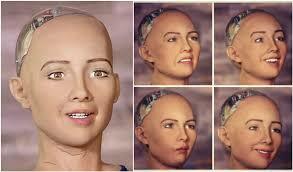 Sophia the AI robot Would she pass the human test? 2005 is a bit of a haze for me. I’ve vague recollections of bits and pieces from the television, the odd scene from Supermarket Sweep, The National Lottery and part of a Star Wars film I had to endure because there was something on afterwards. All I can remember is the Star Wars characters fighting in a desert. Never having been a fan of Star Wars, when I tell my friends the bit I have seen, they tell me it could have been any of them! But some of my biggest memories come from the endings of some quaint little show that had just come back. I’d seen the posters around London on some school trips but had no real idea of what Doctor Who was, just that my mum said she remembered Tom Baker and Lalla Ward and that it used to be scary. It wasn’t that I wasn’t allowed to watch it, I was eight or nine and my mind was on other things. The only time it used to be on our screens was when Mum used to change the channel from ITV to BBC to watch the lottery, apparently you really did have to be in it to win it! Everyone made jokes about Daleks not being able to climb stairs but all that changed with Dalek and while I missed the ground-breaking, or not as the Dalek had climbed the stairs in Remembrance, scene where the Dalek followed Rose and Adam up the staircase, I remember the final scene, where it blows itself up. I wonder if back then I had thought Doctor Who would become such a big part of my life in the future? “Are you my mummy?” was my next meeting with the universe of Doctor Who, or rather the trailer for the episode. I remember seeing the gas-mask child and Rose falling from the barrage balloon and vowing to watch it, though I had to watch it in my bedroom. I never did, something about that little boy in the mask freaked me out and still does. Weeks passed and then the Daleks were back and the Doctor told Rose he was coming to get her. Then the Doctor changed, literally exploded in a ball of light and turned into someone new! I hadn’t really delved into the world of Who but even I knew that Christopher Eccleston was the Doctor, how could he change? How could he be rambling something about Barcelona? Needless to say, I was very confused. Days, weeks and months passed, children were talking about the show in the playground and although I knew what a Dalek was, I didn’t really pay much attention. But then one day in July, my life changed forever. Sutekh – Still the only Egyptian God I know! In my junior school, year 6 always went away for a week to Fairthorne and those of us in years 3-5 would have to endure some themed week-long project. In 2005, it was Egypt Week. We learnt how to read hieroglyphics, the names of their gods and the history of Ancient Egypt. I really don’t remember much from this week, except that towards the end I walked into my classroom to see the video-player hooked up to the projector. I’m sure everyone will agree when you saw one of these in school, you knew you would have a good day! My teacher at the time was a massive Doctor Who fan and really knew a lot on the subject, being old enough to have grown up with it as a child. (He had a massive Dalek on his keyrings!) Now, I will admit, I’m not sure what the selected Doctor Who story was supposed to tell us about Egypt, I think it was just an excuse for him to watch his favourite show at work but I’m glad he did it. After explaining to us that he wouldn’t be teaching us how to make perfect cardboard pyramids using maths, he pulled out his VHS copy of Pyramids of Mars and turned off the lights. I remember looking out of the windows at the other classes, all the other students fussing over their perfect pyramids as the familiar BBC logo filled the projector screen. There was a sense in the air, some of the slightly older students knew what Doctor Who was and even though I had heard of it and seen bits, I had no idea what it really was. As the slightly warn tape began to play and the theme tune, slightly out of tune, started to play I was transported to another world. 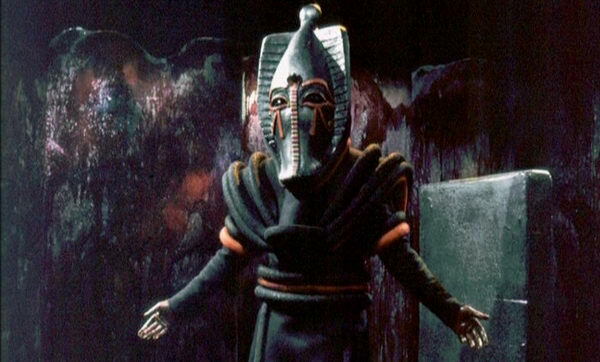 I’m still not sure what bringing Sutekh’s gift of death to all Human life had to do with Ancient Egypt! In those opening minutes, I knew exactly who the Doctor was, he was a time-lord and he walked through eternity. Sarah Jane was his faithful companion, who travelled with him. I didn’t know that Victoria had been his companion or the priory they arrived in was one day to be the UNIT base, I had no idea what all that meant but it didn’t matter, the character of the Fourth Doctor and Sarah Jane had really captured my attention. Then the Egyptian housekeeper shoots Scarman’s friend, and brings a mummy to life. I was blown away. When the mummy lumbers into the woods and Sarah Jane looks out from where she is hiding, our teacher paused the video and asked us to write down what we thought she had seen. I can’t remember what people said, all I remember is thinking it must have been something horrid coming towards her. At my tender age I really felt her terror as the mummy lurched towards her, felt her fear as she ducked down and hoped she hadn’t been seen. I was so pleased when she got away. 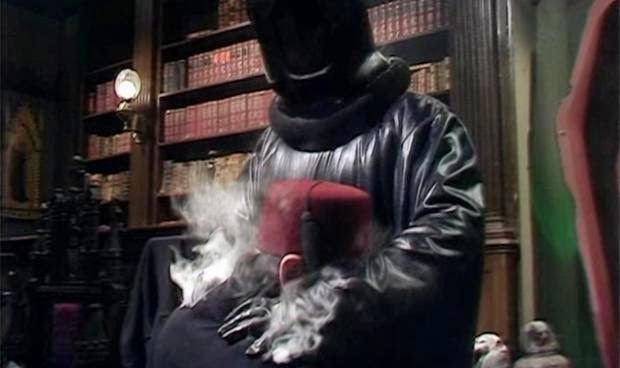 By the time episode one was over and the re-animated corpse of Marcus Scarman promised to bring Sutekh’s gift of death to all human life, I knew mine wouldn’t be the same ever again. The second episode rattled along, Sarah Jane explains she is a journalist and the poacher shoots Scarman, strong stuff but then the bullet comes back out in a puff of smoke! I loved it! As the day came to an end, other classes finished up with their pyramids and put away their maths skills, something I still haven’t developed, I saw the Fourth Doctor and Sarah Jane banish Sutekh from our world. Everyone else just made pyramids but I actually got to travel to one, on Mars! Sadly, two people people from Classic Who leave us this week; amazing composer of many serials Dudley Simpson passes away aged 95 and director (of our review story in fact) Paddy Russell passes away aged 89. In lighter/funnier (but naughtier) news Doctor Who Magazine writer Nicholas Pegg gets fired for hiding a secret message in his last article. Dalek Tat throws us this week – Big Finish announce Torchwood 5 – Aliens Among Us Part 3 for a February 2018 release. Garry reviewed this solo way (way way way) back in episode 3! It’s now a great time for your TARDIS Team to re-look at it together and give you their thoughts on this often highly regarded classic. Thank you so much as always for listening and sending us your reviews. Revisits Month keeps on rolling next week where we’re looking at The TV Movie so grab those dvds/or blu rays! Until then have a super week and remember – Allons-y! When the news was released in the Mirror a couple of months ago that Bradley Walsh was rumoured to be a companion to Jodie’s Doctor , the reaction was I seem to remember mixed and dismissed by some as false news. At the time I was actually quite excited by his potential casting. I saw his character work in Law and Order and I know he has an acting CV so I wasn’t worried with the idea of an older man interacting with a younger doctor. But I will be completely honest with you now I am slightly disappointed that there are more companions following ( Mandip Gill as Yasmin and Tosin Cole as Ryan announced as joining the Tardis) Jodie Whittaker has described the new announcements as a ‘dream team’ For me it feels really crowded for such an important debut and I frankly enjoyed the Bill and the 12th Doctor relationship last series so there is a lot of merit for me in the Doctor and one companion relationship. 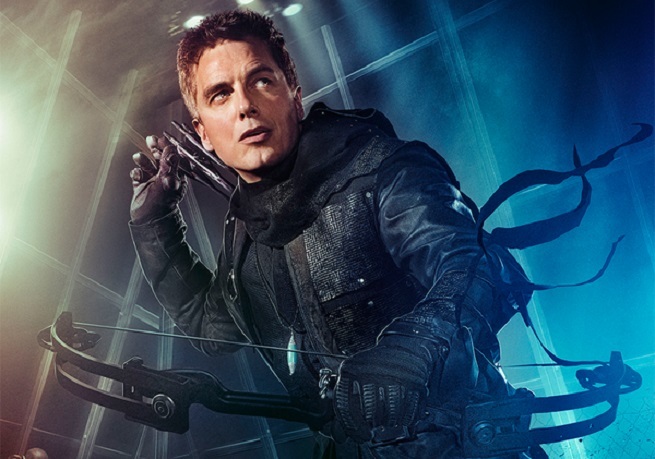 Given my reaction and how era Whittaker is going to be mixing up the previous rules I thought it would be a good time to explore the idea of the ‘power of four’ dynamic. Of course having a team of weekly regulars is nothing new. It’s happened before. 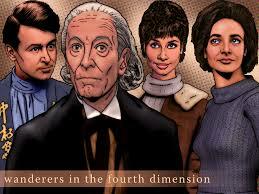 Go back to the very beginning with Ian, Barbara, Susan and the Doctor and there you have the original Tardis team. During Hartnell’s time this Tardis crew was a finely balanced experiment with each character unconsciously mirroring the traditional family. Ian was ‘the father’ figure ready to take on any action that an older Doctor perhaps could not. Barbara was the mother figure and through these two Earth people’s eyes we could learn about the knowledgeable and mysterious ‘grandfather-y Doctor’ and his ‘unearthly’ grand-daughter. It’s well documented that part of the remit of Doctor Who given by Sidney Newman, the new Head of Drama for the BBC in 1962, when helping to create the programme was it should have an educational element without ‘bug eyed monsters’ so it made sense to have two teachers, knowledgeable in science and history, able to convey information about different time periods they would encounter on their travels and also that little bit older to be able to challenge the Doctor. The historical ‘educational’ stories are at their strongest in this era with the ambitious exotic Marco Polo, the unsettling Reign of Terror and one of my favourite stories, ‘The Aztecs’, which has Barbara wrestling with whether she can go against barbaric practices, inherent in the Aztec’s culture, to save people but which could implicitly change the course of Aztec history. With Series 11 we have a run of ten 50 minutes episodes in which doesn’t give us much time to get to know three new characters, including a new Doctor. We don’t know yet how these characters are linked (if they are) so the question is will the companions have enough individual development to carry them through the series? It’s an unusual mix having an older man and two younger characters. I’ve read the rumours that Chris Chibnall may be considering changes to the structure with one connecting overall story for the whole series. 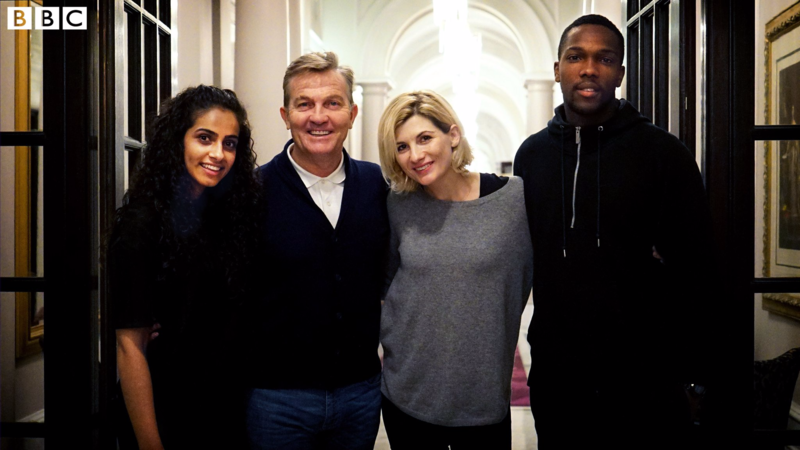 This could be a positive development if the characters Graham, Yasmin and Ryan are allowed to grow and change throughout the story Children of Earth style. I’m thinking of Jack here as he ended up having to make huge sacrifices affecting his work and his family which almost broke him. In Series 6 of Doctor Who we were carried along a particular story arc around River’s identity, the religious order the silence and the doctor’s name. River Song , Matt Smith’s Doctor, Amy and Rory were a quartet in five episodes and whether you thought that particular storyline and those episodes worked depends in part how much you liked the characters and the narrative. One overall storyline also has its weaknesses though as if people aren’t invested they could get bored halfway though and not watch the rest. 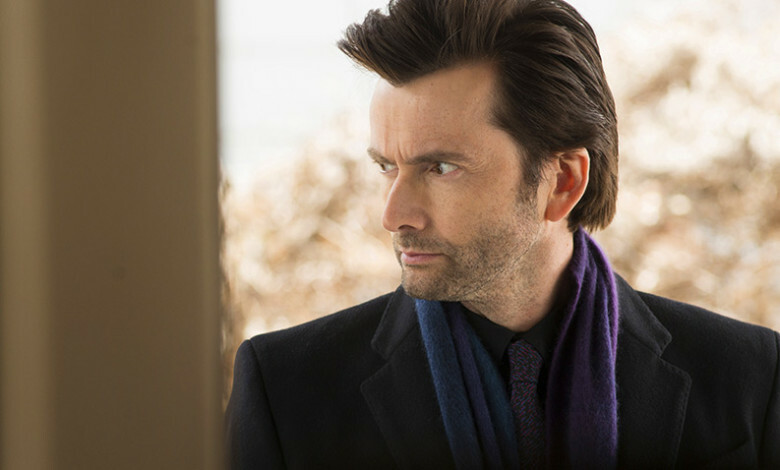 I don’t believe that with the limitless format of Doctor Who they would necessarily go down the one overall story route as strictly as the Broadchurch connection but who really knows ? I do wonder if Chibnall is trying to emulate the freshness of Peter Davison’s first series broadcast in 1982 by casting three companions. After seven years Tom Baker had tired of the role and hung up his scarf and the series needed a reboot to reflect going into the new decade and Peter Davison was cast . The reaction a few months ago to the female Doctor casting feels similar, to the furore around Peter Davison in 1980/1 as he was the youngest Doctor at 29 years old at the time to take on the role inheriting three new companions to see him through a new era. Peter Davison came from a hugely successful, family orientated programme ‘All Creatures Great and Small’ and was able to use that wave of popularity alongside some decent writing to make an impact. The show, which had traditionally been on Saturday evenings, was put on twice a week during the week on Mondays and Tuesdays, prime time early evening and Season 19 peaked at 10 million viewers with ‘Black Orchid’ as opposed to around 5.9 million viewers for Season 18. I don’t believe Jodie Whittaker has necessarily the same height of profile as Peter so I really hope that being in a team of four doesn’t take away the focus from her. Series 11 has to be about Jodie Whittaker, taking that centre stage, making her mark as the first female Doctor. The show is so iconic in British television, she has seen to be leading the show from the front. I really won’t be shocked if it’s announced a few months from now that the programme will move away from Saturday nights. As with many Doctor Who stories it will come down to how cleverly all the scripts for Series 11 are written. The classic series has highlighted how writing for more than two companions at a time can be tricky but also unsatisfying for the viewer. When Patrick Troughton started his tenure the more ‘hip’ Tardis had the attractive Polly and Ben who had joined William Hartnell in his last season. Frazer Hines had also only joined a few weeks. The script for ‘The Underwater Menace’, which was set in the lost city of Atlantis, was brought back after being dropped due to budgetary concerns. Jamie wasn’t in the original script. Having two young male leads now meant Jamie had to be incorporated in meaning he shared/stole some of Ben’s lines. In the Davison era we had the story ‘ Kinda’ which hardly included Nyssa, as Sarah Sutton hadn’t been planned as a companion originally when the script was written, so her character was allowed to ‘recuperate’ abroad the Tardis whilst the other characters had the adventure. The irony is that it was decided that three companions was too many in Season 19 and originally Sarah Sutton as Nyssa was going to be written out but Peter Davison objected, so Adric who was seen as the most unpopular with viewers, drew the short straw and met his end. I wonder if all our new companions will make it to the end of series 11 ? These are strange, exciting times and it really is another twist in the upcoming Chibnall era having a larger team. In the bible the number 4 derives its meaning from creation. On the fourth day of what is called ‘creation week’ God completed the material universe where he brought into existence our sun, the moon, and all the stars (Genesis 1:14 – 19). We can but hope that with Chris Chibnall at the helm all goes hunky dory with all the changes from Adelaide to London. The upcoming remastered/restored/reanimated release of Shada is going out in Australian cinemas and we have our first director named for Series 11. Dalek Tat throws us this week – the 4th Doctor is teaming up with River Song for Big Finish’s The Diary of River Song Series 4 and Jenny, The Doctor’s Daughter, is also heading to Big Finish for a 2018 release. We reviewed this way back in episode 6 (June 2014!) and while Adam’s love of the story has remained consistent, Garry had a less than favourable opinion. Now seems like a good time to re-look at this often well viewed Dalek story as Garry’s view of the 7th Doctor has changed dramatically over the past year. Same deal or has this been elevated to higher scores? All we know is – there’s always room for unlimited rice pudding! Thank you so much as always for listening and sending us your reviews. 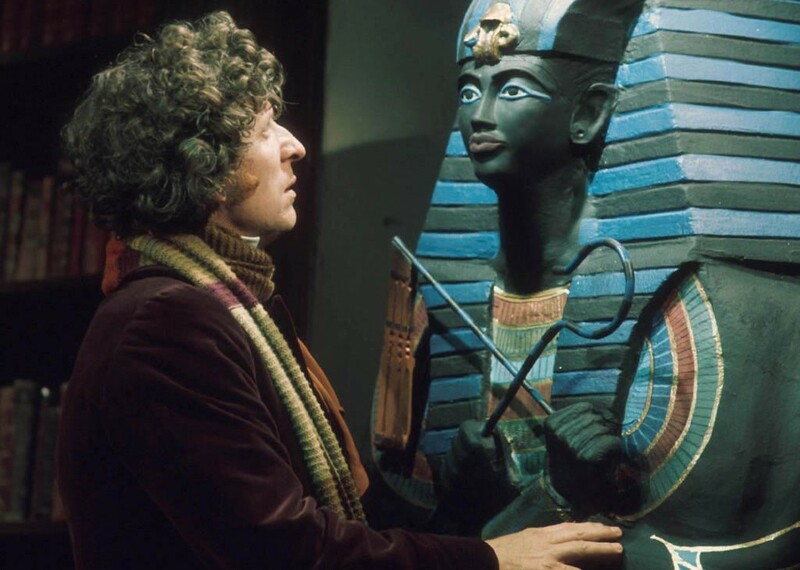 Next week we continue Revisits Month with the 4th Doctor classic – Pyramids of Mars. Until then have a great week and remember – Allons-y!